Both the NOI and Orthodox Islam accept the Koran as a Holy Book. The Nation of Islam, commonly known as the Black Muslims, espouses some doctrine concerning race relations that contradict the openness of Islam to all people regardless of complexion. Nevertheless, Orthodox Islam and the Nation of Islam do possess some similarities once one looks beyond the Nation’s doctrines on racial issues. Understanding the doctrinal splits between Muslims within Orthodox Islam itself illuminates how the Nation of Islam’s relationship with American society is in some manner similar to how Shiite Muslims relate to the Sunni Muslim majority. Within Orthodox Islam, there are two main ideological camps: the Sunni majority and the Shiite minority. 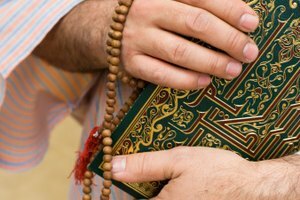 Sunni Muslims believe in a strict reading of the Quran, the Islamic Bible. In contrast, Shiites read the Quran for its revelations about life. The Shiites believe in a mystical interpretation of the Quran. Imams are the religious figures who lead Islamic services, the Salat. Sunnis do not ordain their Imams, out of a belief that any educated person can serve in this capacity. Shiite Imams receive their wisdom, according to tradition, from divine inspiration provided by Allah (God). These divine Imams often pass down their religious position to their sons, creating a family of religious leaders. It is in political affairs that we witness the largest gulf between the two factions. Sunnis, as the majority in most Islamic nations, perceive of the law as the basis of order; meanwhile, Shiites think political leaders have no legitimacy. Except in a few nations, for example Iran, Shiite Muslims abstain from civil affairs and politics. 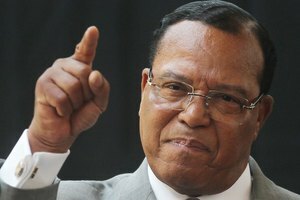 Louis Farrakhan, leader of the Nation of Islam, reinstated the group's teachings about race. The Nation of Islam originated in 1930 as a group embracing the idea of the divine, good nature of blacks that contrasts with the evil nature of whites. The Black Muslims would alter many of their racial conceptions in the 1970s when Wallace Muhammad, the rebellious son of longtime Nation leader the Prophet Elijah Muhammad, adopted Orthodox Sunni teachings when he became head of the group. 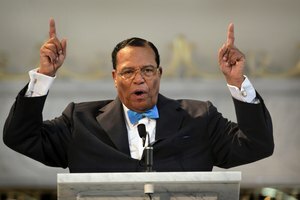 Louis Farrakhan, however, revived many of the old doctrines and rejected Sunni Islamic teachings when he began a splinter group in 1978 that today many consider the authentic Nation of Islam. It is this racial worldview that most distances the Nation from Orthodox Islam. According to the research of Columbia University scholar Manning Marable, the Nation of Islam and Shiite Muslims are similar largely because they are both persecuted minorities within their respective societies. Similarly to the Shiites, Black Muslims do not recognize the legitimacy of the ruling structure, asking their members to stay aloof from politics. The Nation of Islam also believes that the revelation of religious knowledge occurs gradually. This revelatory understanding of religion matches the Shiite emphasis on reading the Quran with an eye on learning about life truths. Last, the Nation has long allowed nepotism in its ranks, just as the Shiites pass down imam titles via heredity. 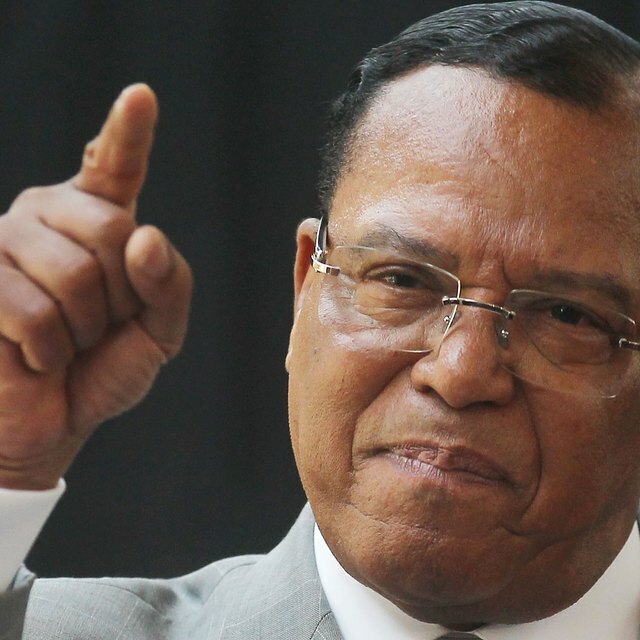 The Nation of Islam remains separated from Orthodox Islam because of its emphasis upon race under Louis Farrakhan; however, the Nation does exhibit similarities to the Shiite minority that has witnessed persecution over generations as have the African-Americans the Nation of Islam represents. 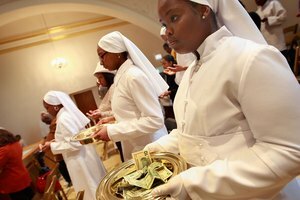 If you remove the explicitly racial doctrines of the Nation from the equation, the Nation of Islam becomes more similar to parts of Islamic Orthodoxy than may be clear at first sight. Malcolm X: A Life of Reinvention; Manning Marable, Ph.D.
Kenneth, David. "NOI vs. Orthodox Islam." Synonym, https://classroom.synonym.com/noi-vs-orthodox-islam-12086638.html. 29 September 2017.